Target your pop ups, flyouts, banners, bars, and other displays based on member status, points balance, tier, referral URL, & other custom properties using Privy's advanced audience targeting rules. 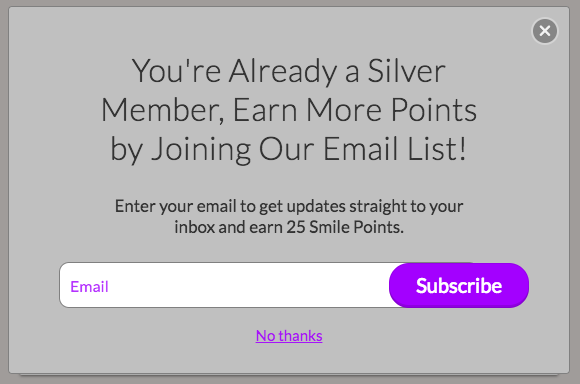 Encourage your members to sign up for your email list via Privy displays like pop-ups, flyouts, spin to win, embedded forms and other display types and send them rewards when they subscribe. In addition to the dozens of behavioral attributes you can use to create segments for your one time email newsletters and announcements with Privy, you can now use attributes from your Smile.io account as well. Combine attributes like “last seen” and number of orders with a current Smile points balance and tier to create highly targeted emails. 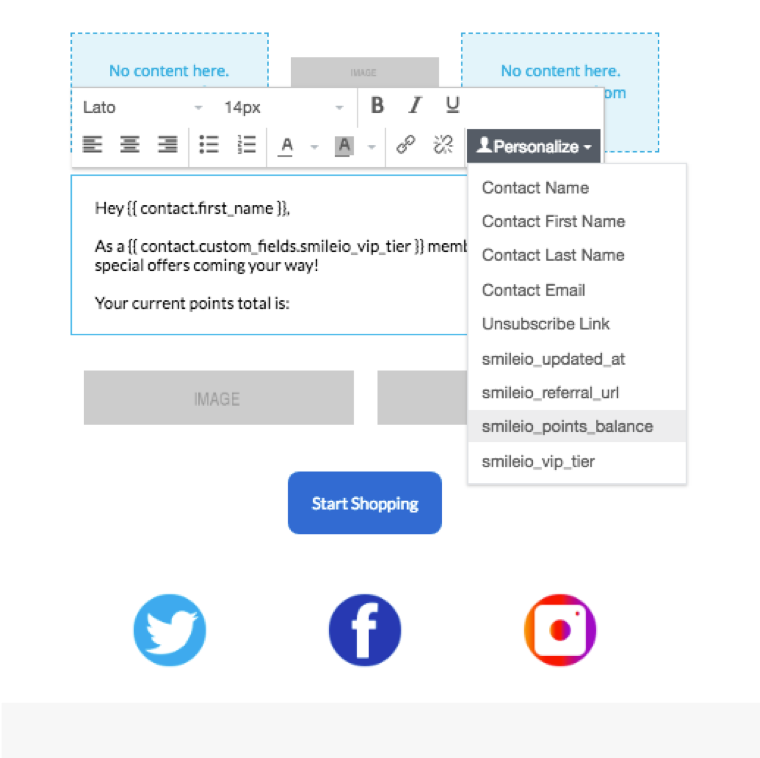 Insert personalization variables pulled in from our Smile account into one-time or automated emails like points balance, tier, and more to make your copy more relevant to each reader.